The best way to secure your business is to find the most loyal and repeated type of customer and to satisfy them. Your business can be open to every kind of customers (couples, solo, friends, families, etc.) but it is always good to focus your marketing strategy on one particular type of customer; marketing will be more efficient and less expensive. 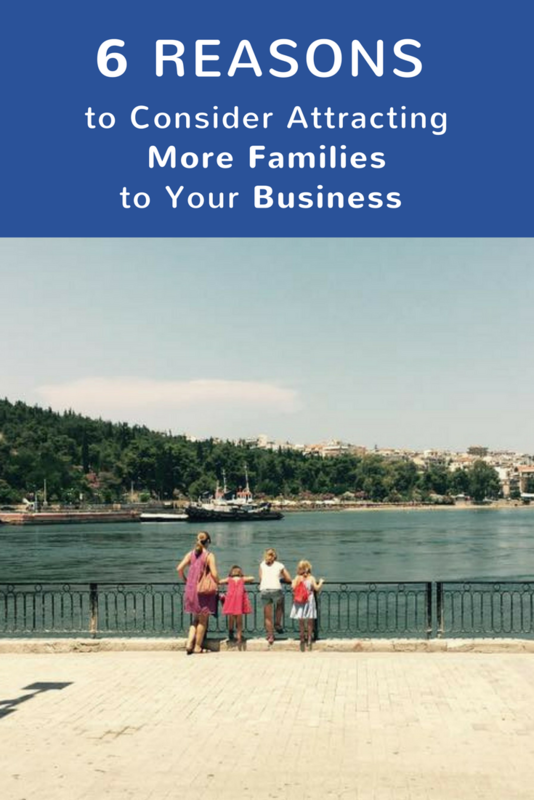 In this article, we will outline six reasons why you should consider attracting more families to your business. Before the 80’s, traveling with kids was not so common. But today, families represent a large and growing market in the tourism industry. Families all over the world love to travel for bounding, learning and relaxing together. If your business can make a family happy, you can be sure that they will come again in the short future. It is always difficult to find a place that is suitable for both parents and kids and when families appreciate one, they will be repeat customers many times over. The best kind of advertising in terms of quality and price is word of mouth. If parents are satisfied with your service and accommodation, they are the best advertisement to other parents. A great number of parents share their experiences with others as well as look to other parental reviews when planning their trip. Thus, their opinion is trustworthy, as finding a place that kids enjoy and where the parents can relax is challenging. Families are usually 4 people with different needs. Parents want the best for their kids and usually are ready to pay for a nice activity or a secure and kid friendly hotel. Budget is important but not as important as the security, teaching and health of their child. If you have quality and you answer to their needs, parents are willing to pay more. Parents are really active on social media, particularly on Facebook. Not only is the parental status easy to spot via Google and other social media, but parents like to share their family moments and advice on the internet. It is easy for digital marketing managers to elaborate strategies and advertisement based on those virtual places. While most families inherently bring the noises of children laughing, playing and running around, making families happy will bring both them and you joy and motivate your team to continue to strive to offer the best. If you haven’t thought about targeting families before, or if you already do, focusing on the family market will help bring added revenue to your establishment through repeat customers who are willing to pay for a quality family experience. If you are a hotel or tour company owner, Read here on how to increase your visibility by working with travel bloggers and contact Travel Bloggers Greece to promote your business online. This article was written by Marianne Najm, founder of Family Goes Out – Online Guide for family activities and accommodations in Greece. Marianne is half french half greek and lives in Athens since 2006. She is a mother of a 5 year old little girl and She believes that her daughter’s eyes are the best to experiment Greece as everything is new and exciting to her!